For me the highpoint of my career as a photographer (working as Peter Haas) was being able to work with my father on the book Writers in Sussex. We spent months tramping up and down the highways and byways of Sussex photographing the former homes of the county’s most important writers. We visited and photographed over 40 houses for the book. Particularly memorable were those associated with HG Wells (Uppark), Virginia Woolf (Asham House, Beddingham, and the more famous Monk’s House, Rodmell), and Ezra Pound (Stone Cottage at Coleman Hatch). Pound’s cottage is on the back cover of our book; that’s Kipling’s stately pile, Bateman’s, on the front – a nice contrast. 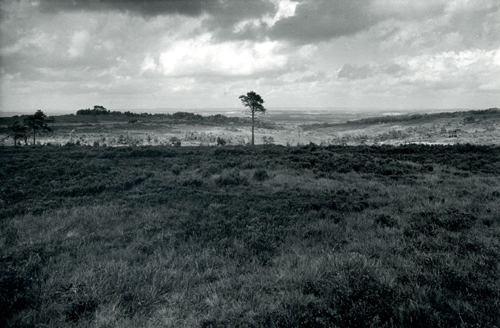 As my father noted: “The holly bush is still in the back garden, and the waste moor of Ashdown Forest just over the garden hedge.” Bernard continued researching as well as lecturing on the subject for many years afterwards and was always delighted to find a fresh literary connection with the county in which he lived. Playwright Christopher Fry, who lived at East Dean in the Sussex Downs, was kind enough to write a personal and evocative foreword to our book. I have scanned the original, written by Fry on his ancient typewriter, and you can download and read it here (PDF). 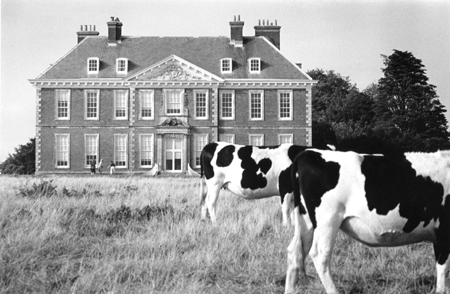 This is one of my favourite phtographs from the book – Uppark, South Harting. Wells’s mother was housekeeper at this seventeenth-century mansion and for a time the young Wells enjoyed unofficial access to the library here. You can now see all the photographs I took for the book (and a few more) on Flickr. I have also written a piece about researching the book and visiting writers' houses which you can read here. 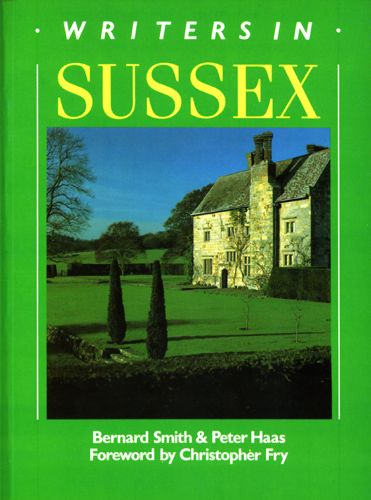 You can also read a piece I wrote to mark the thirtieth anniversary of the publication of Writers in Sussex here.